I created a rule for discount 3 of my categories. 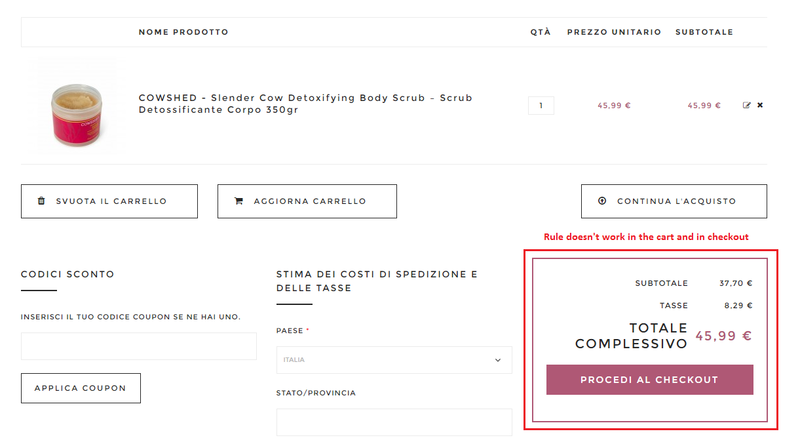 The rule work correctly on the catalog and category page (I see the discount), but when I go on the product's single page the discount dosn't work anymore. The same thing when i go to the cart page or in checkout. Pratically my discunt never work. I tried to use the default theme, i tried to disable the plugin one by one but the problem persist. I had the similar problem. I solved it. In my case, the problem was actually only for not logged users. So, I checked groups users for NOT LOGGED IN group id. By default, it must be 0. But in my case, it was a different value. So, I change it to 0 (directly in DB via phpMyAdmin) and it works http://prntscr.com/gmlams . Note, after change id need apply your rule again. In my situation, special prices and dates applayed for some products was blocking catalog price rules. I check on default themes also and I had still this issue. 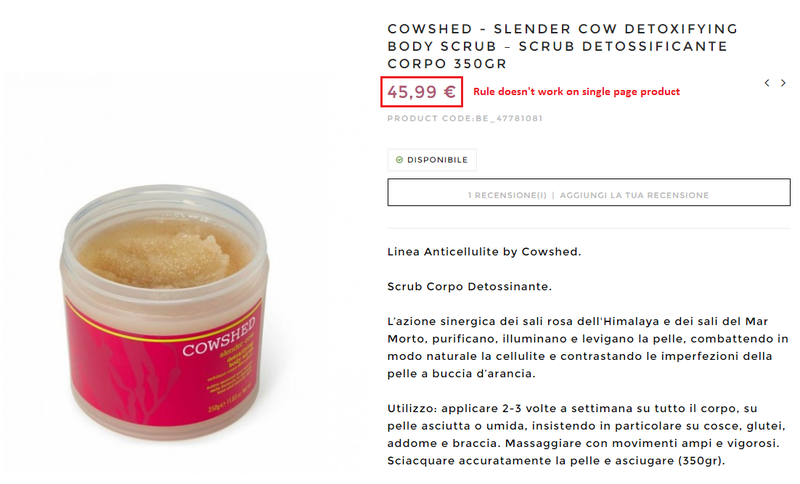 So I removed special prices from this products. Not the answer you're looking for? Browse other questions tagged magento-1.9 discount catalog-price-rules price-rules or ask your own question. 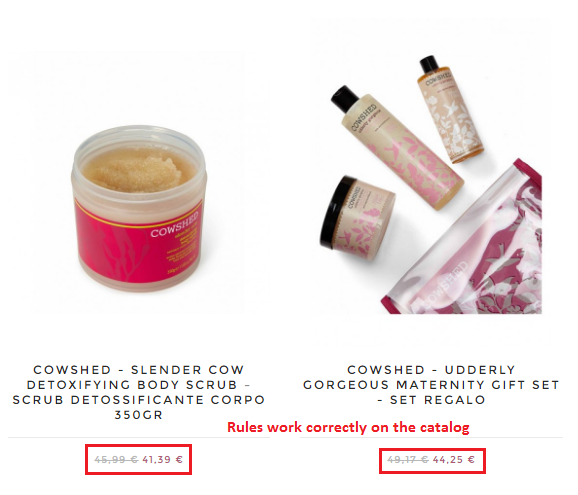 How can i remove catalog price rule from products which are in cart magento1?